They make up baseballs most dominant division. Four of five teams in the American League East would either be leading or in a division championship race if moved to any of the remaining five divisions in baseball. 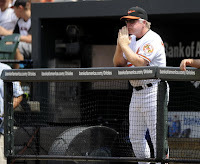 The 5th team has won seven of their last ten since bringing on no-nonsense baseball "guy" Buck Showalter. The Toronto Blue Jays, Boston Red Sox, Tampa Bay Rays, and New York Yankees, run major league baseball. The beasts of the American League East are all business and tearing up the majors this season. Tops In Baseball: As the Yanks and Rays go for a major league leading 70 wins tonight, the 3rd place Sox sit at 65-49, which would currently put them tied for first in three other divisions, and leading the remaining two. All the while the Blue Jays look to hit 60 wins this week. The Long Ball: A thing of the past in other divisions, the home run is still the winning formula in the A.L. East. The Toronto Blue Jays, led by the surprising Jose Bautista (35) lead the majors with 178 round trippers. Oh, and of course the ever slugging Red Sox (149) and Yanks (133) also have placed themselves amongst the Top 5 in homers. They Can Hurl: Tampa Bay pitcher David Price is having a phenomenal season. Boasting an ERA south of 3.00, striking out 133 batters, recording 15 wins. Young Boston starters Clay Buchholz and Jon Lester are both putting together break out seasons. Lester with 160 K's and Buchholz with a ERA of 2.66. Then there is Yankees ace C.C. 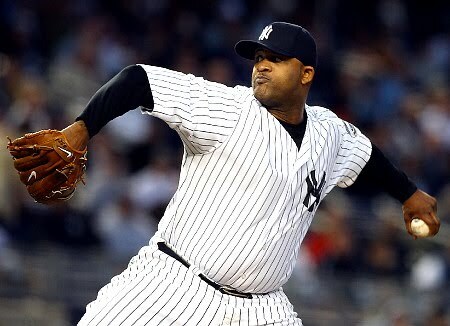 Sabathia eating up over 160 innings winning 14 games and posting an ERA of 3.14. The New York Yankees The defending champs behind Robinson Cano and Mark Teixeira are out in front in the A.L. East. Cano is having a career year hitting .329 with 21 homers. Teixeira is on a tear as of late with six long balls in his last nine games. Adding players like Kerry Wood, Lance Berkman, and Austin Kerns at the deadline for seemingly not much in exchange, have filled whatever holes remained with the Yanks prior to. After watching the Yanks offense for four straight days this past weekend, it's amazing this offense does anything but score ten runs a game. From top to bottom behind A-Rod, Jeter, Cano, Swisher, Teixeira, Posada, and Granderson, the Yanks are stacked. Ace C.C. Sabathia is in the midst of another fantastic year, With an ERA of 3.14, fourteen wins, and over 130 strikeouts, Sabathia is earning every dime he made last off season. Of any of the teams in the A.L. East, the Yanks are punching their ticket to the postseason before any other bar none. With their comeback victory against the Rangers last night, the Yankees are making a statement. The Tampa Bay Rays While the Rays have been on the receiving end of a no-hitter (Edwin Jackson, Arizona Diamondbacks), a perfect game (Dallas Braden, Oakland A's), and most recently a 17-strikeout performance (Brandon Morrow, Toronto Blue Jays), they've still got a 3.5 game lead on the Wild Card and fourth playoff spot in the American League. In large part to the success of their ace, David Price. Price has already recorded 15 victories this season and has an ERA of 2.84, more so it gives the Rays a pitcher to step toe to toe with the A.L. 's best come playoff time. His 10-K performance against the Red Sox in early July raised a few eyebrows as Price not only struckout ten but went 7 and 2/3 while allowing just four hits and only one walk. If the Tampa offense can find their stroke and stop the bleeding, it's going to be hard to keep them off the Yankees tail and way out in front of the A.L. Wild Card. 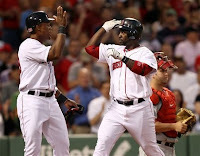 The Boston Red Sox The Sox have gone long stretches this season without key players in their lineup due to injury. Outfielder Jacoby Ellsbury has played in just 16 games this season. 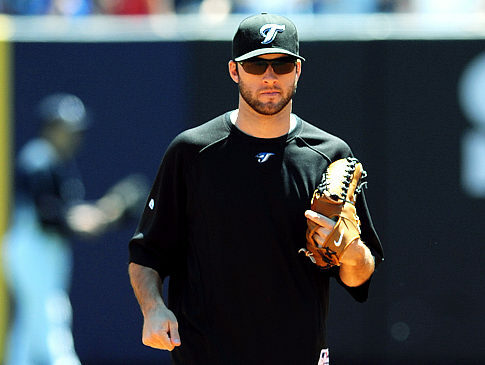 Second baseman Dustin Pedroia has missed 42 games. 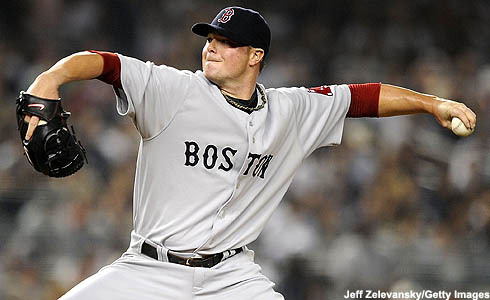 Pitcher Josh Beckett has made just 12 starts through four months. With 1st baseman Kevin Youkilis out for the season after tearing a muscle in his thumb, the Sox are trying to piece it together for another postseason run. Behind young horses Jon Lester and Clay Buchholz, the Red Sox are staying alive just sitting five games back of the division lead and three and a half of the Wild Card. While doing it all with a slew of minor leaguers, every-position Bill Hall, and elder statesman Mike Lowell. Behind the big bat of Adrian Beltre and of course the comeback contract year of slugger David Ortiz. After opening the season in a slump, Ortiz has rebounded driving in 73 RBI and smashing 24 home runs. The Red Sox are still alive in this thing and we'll see if they can hold on till the injury bug has played it's way out of their system. The Toronto Blue Jays The 59-win Jays are more than just a 4th place ball club. After Jays righty Brandon Morrow's performance on Sunday afternoon, striking out 17 Rays over nine innings, people are perking up on Toronto. As previously mentioned, Jose Bautista is leading the majors in home runs with a surprising 35. More noticeably, over the trading deadline Toronto sent 33-year old veteran shortstop Alex Gonzalez to the Braves in exchange for the oft-discussed Yunel Escobar. The Jays and manager Cito Gaston are turning things around in Toronto and refusing to trade their talented players without getting equal or better than equal value at the deadline. If not for the teams looking down on the Jays, they'd be hot in contention in any other division, just the beast that is the American League East. The Baltimore Orioles Even at the cellar of the East, things are looking good. The O's have won seven of their last ten and after bringing on Buck Showalter, things are looking even better. A former 2x Manager Of The Year, Showwalter brings a hard edge to the Orioles. Baltimore littered with young stars like Adam Jones, Nick Markakis, and Matt Wieters are going to take the direction of Showalter and use it to lead the Orioles in the offensive minded A.L. East. As always, the O's are going to need to address their pitching situation through the offseason an see what happens. Still, this group of young talent won't be an easy out for much longer. As O's manager Buck Showalter said in his introduction to Baltimore "There is only three leagues they talk about in baseball, the American League, the National League, and the American League EAST."